Our Luxury gift bags & baskets are presented with colour coordinated tissue and personalised gift card for that special occasion. Comes in varying shapes and sizes bespoke to suit the individual gift or gifts you choose. 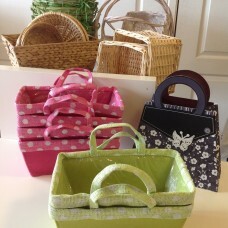 Just add the basket to your purchase, enter your personalised message and we will look after the rest !!! !